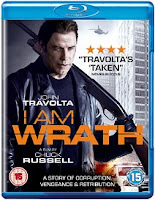 I Am Wrath is out on DVD and Bluray on the 16th May, and to celebrate we have a great competition for you and 3 copies on Blu-ray to give away! 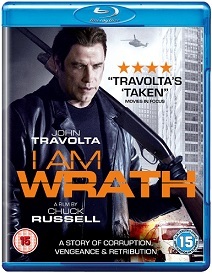 Golden Globe winner John Travolta (Face/Off, Pulp Fiction) returns to the action genre with a hard as nails performance as a man with nothing left to lose, seeking bloody vengeance! Unemployed engineer Stanley Hill (Travolta) witnesses the brutal murder of his wife Vivian (Rebecca De Mornay, TV's Jessica Jones) who was attacked by thugs in a parking garage. When Detective Gibson (Sam Trammell, True Blood) and other corrupt police officers are unable and unwilling to bring the killers to justice, Stanley turns to his old friend Dennis (Christopher Meloni, Man of Steel, TVs Law & Order) and decides to take matters into his own hands. It is only then that Stanley and Dennis are found to have a mysterious past that, until now, they kept very well hidden.